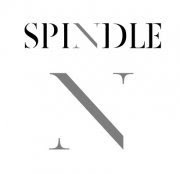 SPINDLE is a non-profit online journal that publishes poetry, prose, artwork, and essays. Reviews and interviews on literary and visual art, long poems, collaborations, sequential art, and works from a series are also welcome. To be considered, send your work in .pdf or .doc format -- in either Filipino or English -- to spindle.ph@gmail.com. Please include SUBMISSION in the subject line. Submissions are read year-round. New spindles will appear every six months on the official Spindle website. For now, you may follow the developmental blog at spindlejournal.tumblr.com. The first SPINDLE will come out in June 2010.